The Naples airport authority has launched a two year study in preparation for the next 20 years of growth. 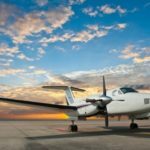 Recent reports conclude that this facility managed over 95,000 takeoffs and landings which generates approximately $284 million for the local economy. Collier County is brimming with new residential, retail and commercial project and in 2017 the county adopted a strategic plan to improve and streamline services for the community. Chris Roxansky, executive director of the Naples airport authority recently provided his insights of the master plan to the Naples Board of Realtors. Mr. Roxansky noted that the airport seeks to provide first class amenities and customer services to visitors as in many ways serves as the first impression for the community. He points to the Christmas holiday as the busiest days of the year. In 2016 there were 500 take offs and landings on the day after Christmas with an estimated aircraft value of $1.2billion. Space is at a premium throughout Naples and the authority is seeking to utilize the remaining 50 to 60 acres of land on highest and best use practices, as a result there are no plans to extend the runway to accommodate larger aircrafts. There has been speculation of adding additional commercial carriers, yet the authority confirms that it is not actively seeking to develop new services. In 2016 Elite Airlines operated flights between Maine, New Jersey and Naples yet had trouble consistently filling seats and ended their service. The terminal is used by charter companies, rental car agencies and is the home of the Naples Museum of Military History with artifacts that date back to the Revolutionary War. Several years ago the airport spent $8 million to address the impact of noise generated by aircrafts and selected to replace older noisier jets to reduce overall exposure. Currently the authority is working with FAA to modify protocols to allow for aircrafts to ascend swiftly to higher altitudes therefore reducing overall noise levels. Mr. Roxansky points out that while improvements are underway aircrafts in close proximity to the airport will still be seen and heard. The flurry of expansion in Naples within all facets is inevitable and adapting our senses to this experience is part of the journey. We at Naples Meridian Group look forward to keeping you posted on the nuances of this ever changing market, as living and playing in this blissful environment is a luxury and a privilege. Fatima S. Khokhar is the managing principal of Naples Meridian Group, that specializes in providing independent and confidential property consultancy and sales services to clients, investment groups and property developers.